Machine Tool Supplies was set up in 1991 by Dave Greenhalgh, who has a wealth of technical experience in Tool Holding and Work Holding going back to the mid 1970's. In 2004 came the breakthrough for the company, when Machine Tool Supplies Ltd became the Sole and Exclusive agent for MT Srl, based near Rimini in Italy. 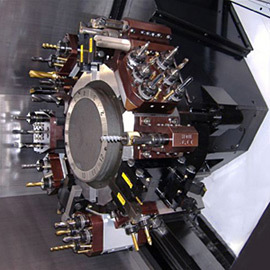 MT Srl designs and manufactures a vast range of Driven and Static tooling covering most major manufacturers of Multi Axis CNC Lathes. In 2007 Dave was joined by his son Nick Greenhalgh, and sales of this tooling range are growing rapidly. 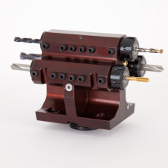 Machine Tool Supplies Ltd - specialists in driven tools, live tools & static tools for multi axis CNC lathes.